Not only does our Empowering Alopecia Network uplift and inspire, every attendee goes home with a goody bag filled with scarves, beanies and a synthetic wig. Southern California Brunch. Invite Friends! 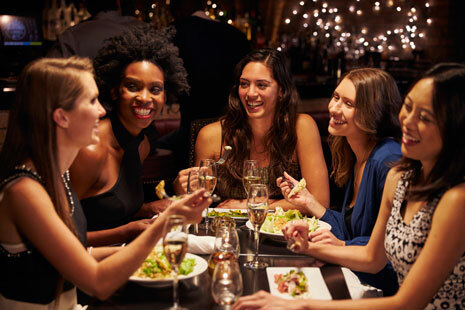 Join BGDL founder, Thea Chassin, Abby Asistio and local women of the Bald Girls Do Lunch network for a most special brunch. Abby, a self-described “traveler, explorer & lover of all things fun, adventurous & beautiful” joins us to share her personal journey with alopecia areata and perform ” Beautiful”. We’e giving away free scarves to all and a pink HeadBlade, too, to women or girls with alopecia. We’re dining on the Marriott Rec Room Patio. Join us for friendship and camaraderie with hair, scarves, wigs or as natural as you like! You’ll never feel alone with alopecia areata again. Click the image to see all event details. Then, rsvp below. 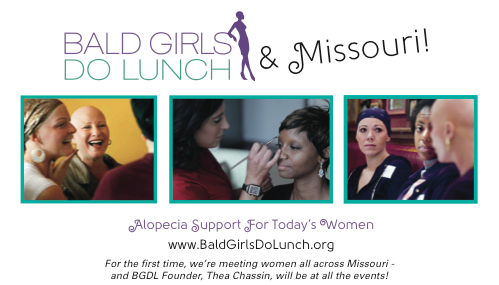 Contact events@BaldGirlsDoLunch.org for more information. Note for Columbia: Thea will be at Shakespeare’s downtown venue. No advance fee at this event, but do print the 15% fundraiser flyer here and tell us how many in your group! Fundraise flyer is good for dine-in and take-out all day at all locations on Sept. 25th.